A guest post from preschool parent Yar Woo describing how one PKS preschool class approached learning this year. It’s sock puppet making time. I have the arts and crafts skills of a gorilla. Not one of those talented gorillas either, like the one that painted all those pictures. Definitely a gorilla on the less dexterous side. I don’t trust my child to give me something easy to make (“A sock” would probably be my best bet, honestly). I smile my best “totally excited to do this” smile and accept my assignment. My kid wants a bird. Could have been worse... some other parent got stuck with a “monkey rainbow.” No time to gloat. Need to start working. What the heck -- did all these other parents get doctorates in sock puppet making or something? Time’s up. My puppet ends up looking like a bird that just went on a blind date with a plate glass window. 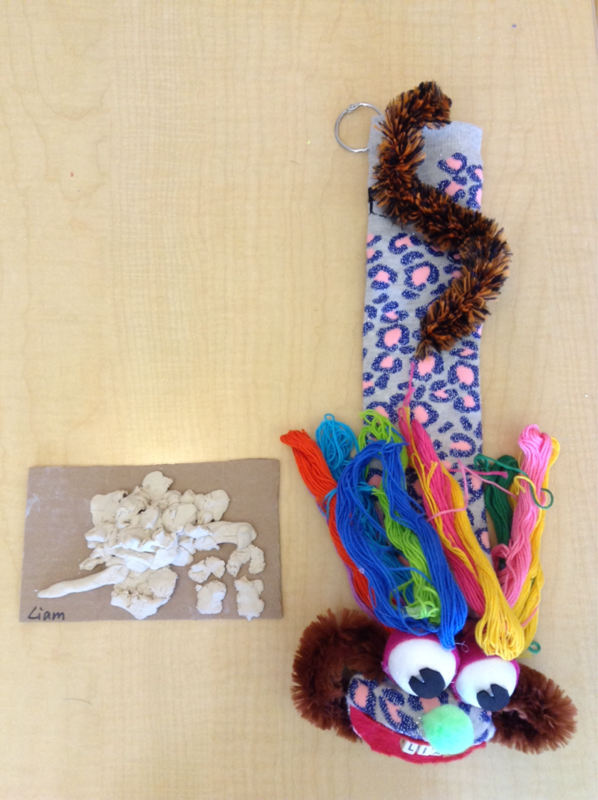 The teachers quickly found that the puppets were a great medium for kids to develop their communication skills. “It can be hard for children to express themselves -- it can actually be easier for them to express their needs and feelings through the puppet. They see the puppets as themselves,” explains Daisy. Budding literacy is also a priority for the Coconut Tree teachers. The kids created an “All About My Puppet” book that gave some critical information about their puppets. For example, it was only after reading these books that I realized how much sock puppets enjoy eating bananas and playing with trains. The idea to make the books actually came from the students -- according to the teachers, a couple of students started the activity and the others quickly joined in through the magic of peer pressure.